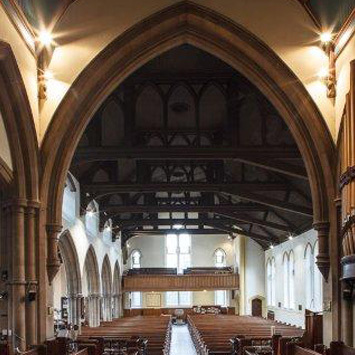 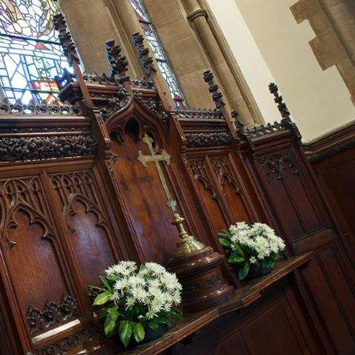 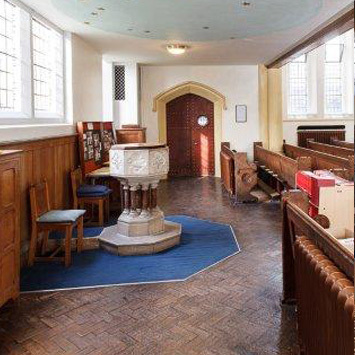 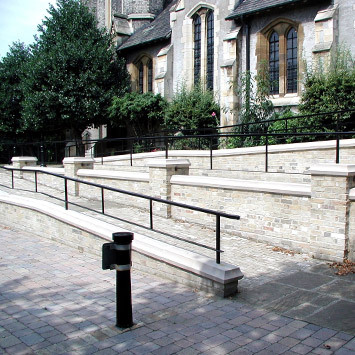 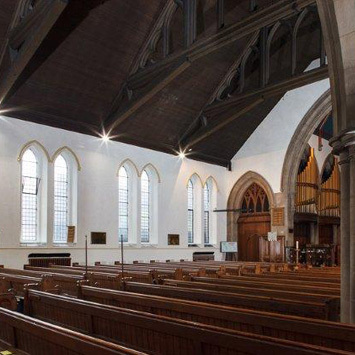 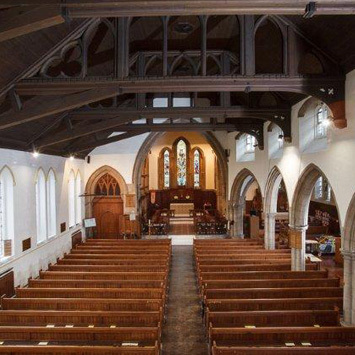 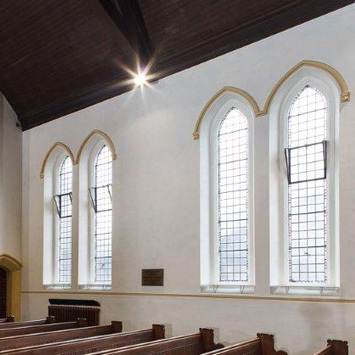 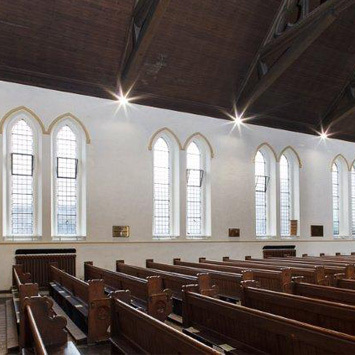 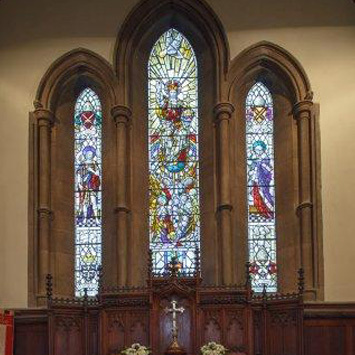 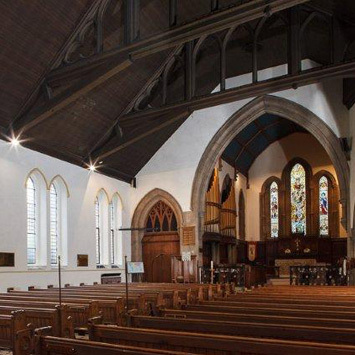 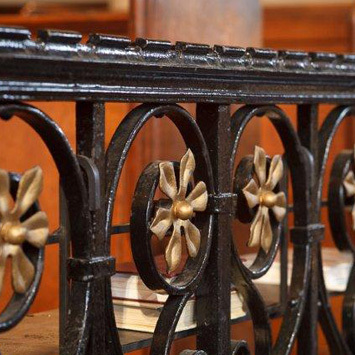 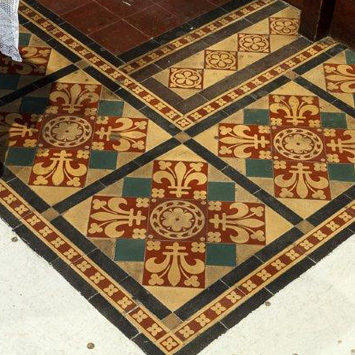 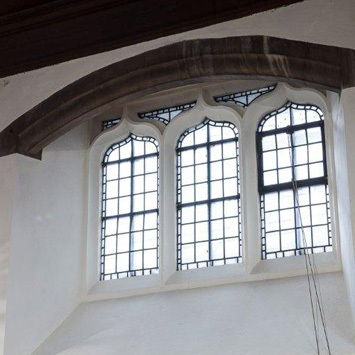 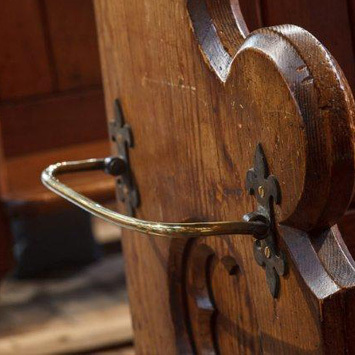 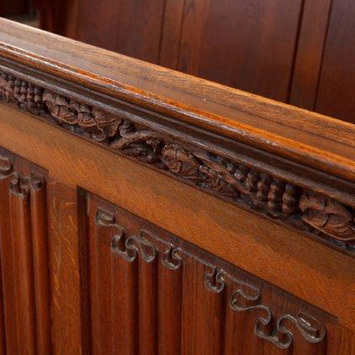 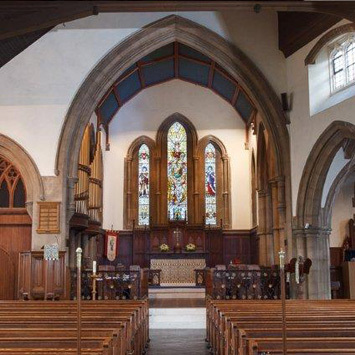 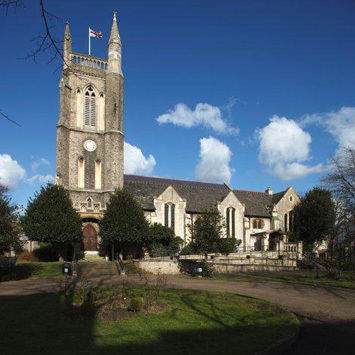 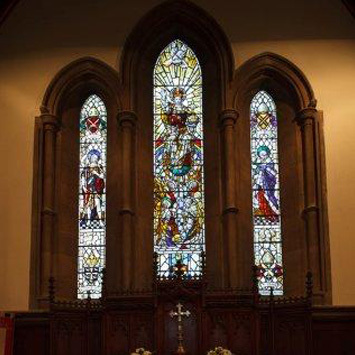 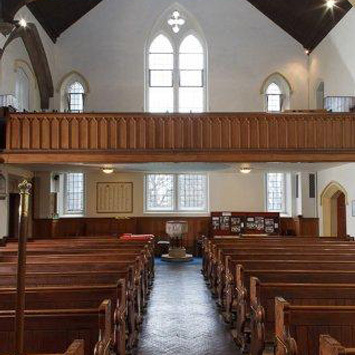 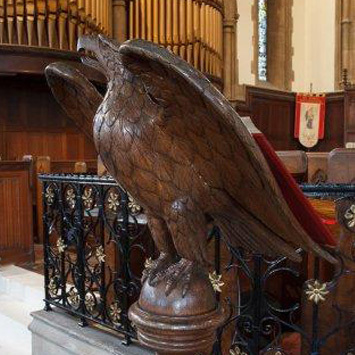 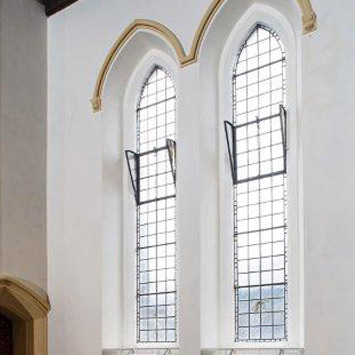 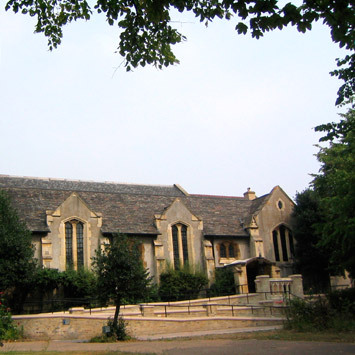 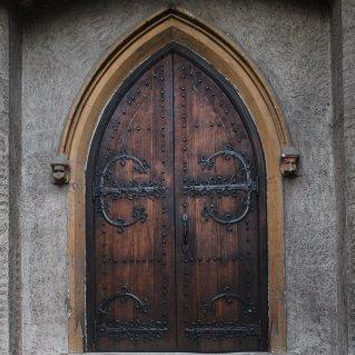 Prior to the entire re-decoration of this Grade II Listed church, plaster and stonework repairs, window, interior and exterior door repairs were carried out. 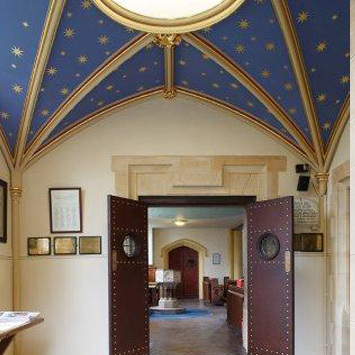 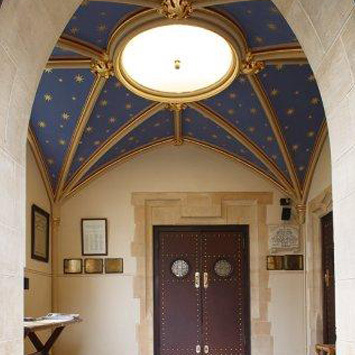 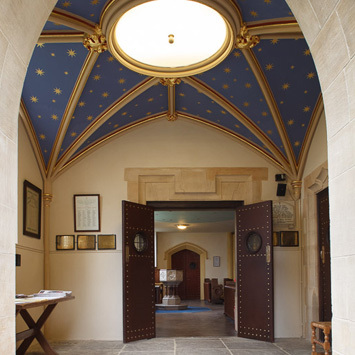 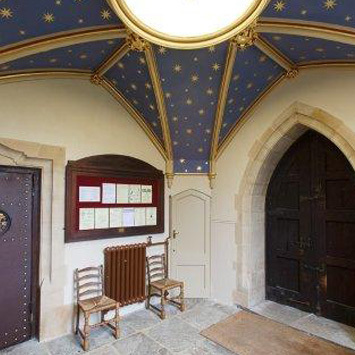 The porch was somewhat dreary, so the ceiling was painted blue, and Gold-leaf stars were added – it is now a stunning entrance to the church. 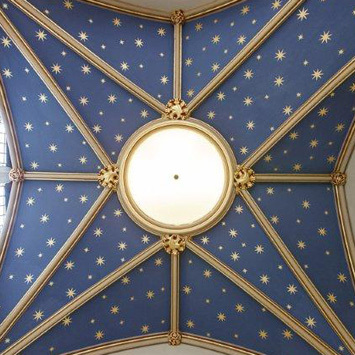 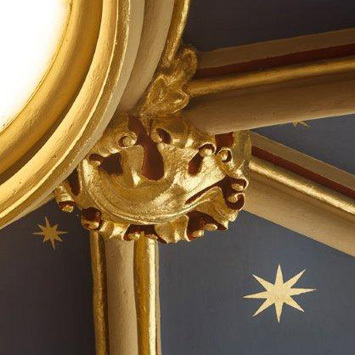 Coincidently, during the restoration and decoration works, similar gold stars in an azure sky were uncovered on the ceiling above the font, these were re-painted and re-gilded. 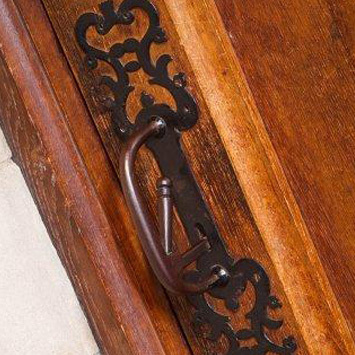 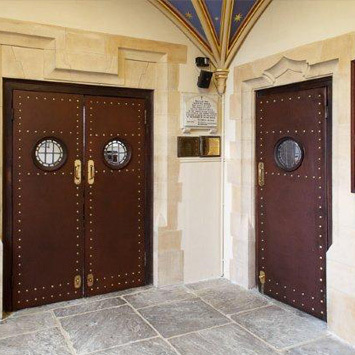 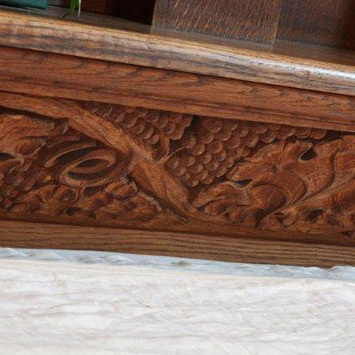 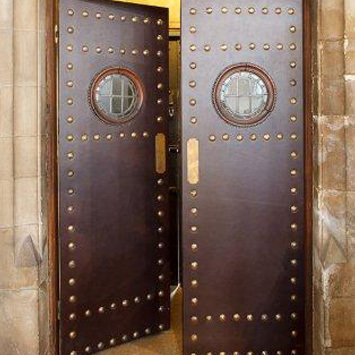 The leather-covered porch doors were badly damaged, so new leather coverings were commissioned, with studs to match the originals. 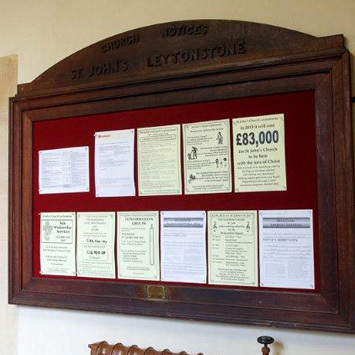 A large noticeboard was made for display of children’s work in The Children’s Corner.